Whenever I’m taking the train and if I can find a seat, the first thing you’ll see me doing is to whip out my cuticle pen. I was using the Mavala pen for ages until last year when I tried a new one from OPI. They are great in keeping my cuticles looking neat, as if I just had a manicure, and I almost can’t do without them. 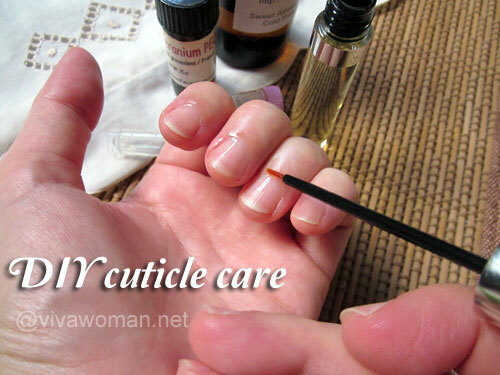 Interestingly, just the other day, I was hit by an inspiration to create a DIY cuticle pen dupe while I was happily nourishing my cuticles on the go. I remembered that I have in my stash an empty lipgloss container and I decided to use it for this experiment. 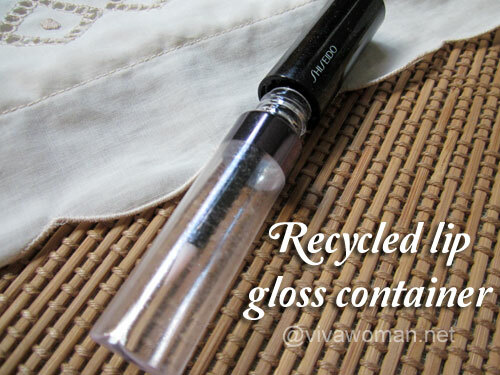 It’s a very simple idea really but some of you may ask, “where in the world am I going to find an empty lipgloss container?” Well, fret not, you can also recycle and here’s a cleaned one I have from a Shiseido lipgloss. Now, lipgloss are pretty sticky and can be slightly difficult to wash. So what I do is to use a combination of cotton buds, paper towels, and detergent to get rid of the residue gloss within. Since it’s going to be for my cuticles, well, I’m not so particular that it should be squeaky clean. Actually, there is only one main ingredient and that is a carrier oil – jojoba oil, olive oil, sweet almond oil, or anything you like. 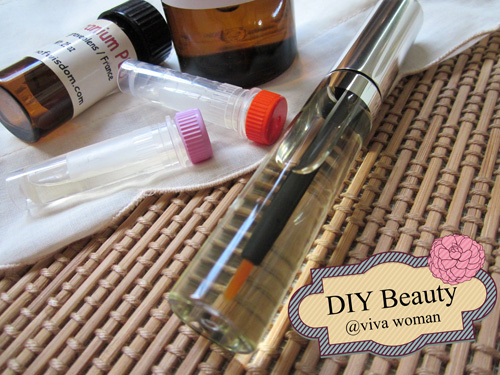 I have sweet almond oil and so I poured some into the empty lipgloss container, added a few drops of my favorite essential oils (the choice is yours) and voilÃ , my handy cuticle oil to go complete with a brush applicator is ready! 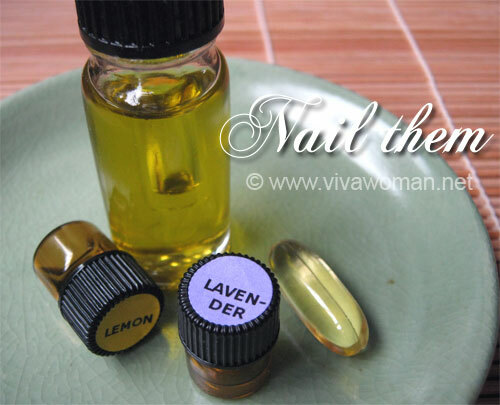 Apart from being moisturizing and nourishing, what I love about this DIY cuticle oil to go is that it is has a sweet aromatherapy scent because of the combination of essential oils I used. My fingers have never smelt so good! And if you’re wondering if the oil might spill out and make a complete mess, well, no. It’s fine because the container comes with an internal stopper and a screw top so there are no leakages at all. If I remember correctly, the bottle of sweet almond oil cost me around $11 and I didn’t even use half a bottle for this project. 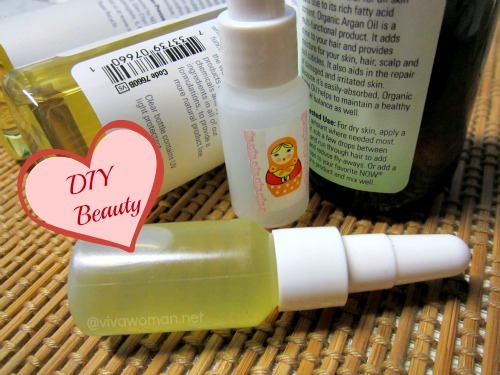 So conservatively, I’ve tagged this DIY cuticle oil to go at around $5, which is like a fraction of the cost of commercial ones. 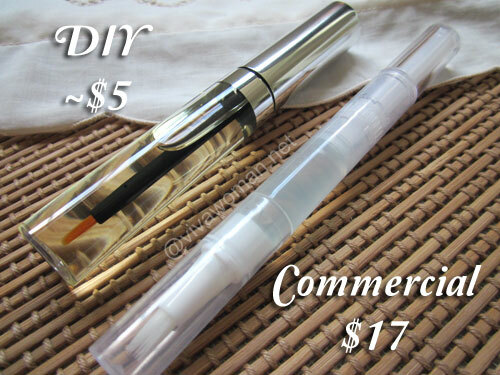 And with the lovely scent that comes with it, I doubt I’ll be getting any cuticle pen soon. haha, I have never thought that I could nourish my cuticles on the MRT!! Great idea. I don’t really nourish my cuticles actually. I’ve got a couple of commercial ones that I haven’t touch. Maybe it’s time to get it in my bag so I can use it up! Excellent writing, and i am happy to read the post. i am determine with that If you keep in mind properly, the container of lovely almond oil price you around $11 and you just didn’t even use 50 percent a container for this venture. So cautiously, you’ve marked this DIY follicle oil to go at around $5, which is like a portion of the price of professional ones. And with the charming smell that comes with it, the question? Iâ€™ll be getting any follicle pen soon. Many thanks..
Hope you’ll find something you like…but this is for cuticles though and not follicles. omg awesome idea!! :O maybe I’ll try something too. 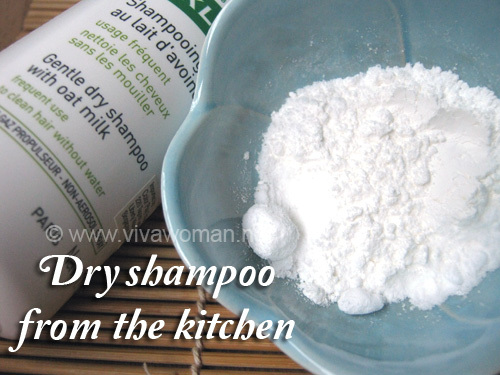 love DIY natural projects like these, they save soo much money. And they’re fun to make! I love this really much. What a wonderful idea, Sesame! I just dumped my cosmetic empties at Origins, though; should’ve kept one for this purpose – it was a dual-ended lipgloss, some more! I could’ve used it for two different scents, heh! Oh this is great…I love it better than my usual cuticle pens! Try it if you get the chance. oh wow…frankly, I have never really looked well after my nails and cuticles but this is just to awesome to pass up!!! 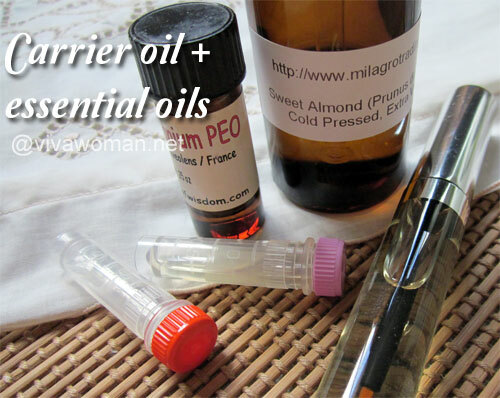 can you share the essential oil blend you used?? I will definitely try this out!!! Swati last post is: 7 things I would really like to spend on? I used geranium rose and lavender. Very lovely scent. you got them from mountainrose??? or, anywhere else??? Swati last post is: Awarded!!! I got the geranium rose one from Garden of Wisdom…the rest were from local source. How amazing! 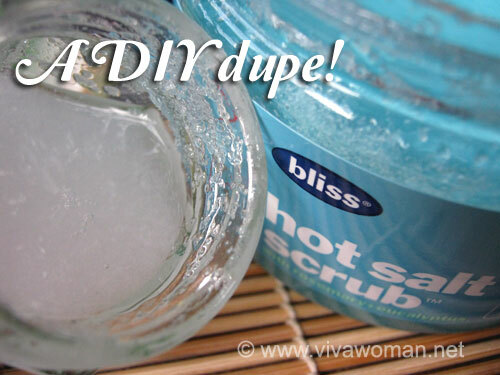 I love how you can use different kinds of oils! I may try olive oil as I have had a good experience using that as cuticle oil! I hope you’ll like it but I do have to say cleaning the container is a bit of a hassle especially if your lipgloss is rather sticky. Btw, see that you have a blog now…will try to visit over the weekend. Have been terribly busy due to a new work schedule. brilliant! i do apply cuticle oil when i remember, usually before bed. i have been using a tube of OPI cuticle oil since very long and i can never seem to finish it >< and i have hauled 2 more when they were on sale. guess i can put this tip on hold for a long time ..i am now using the rose geranium PEO from GoW with the lotion base. btw i love the lotion base! Oh a lotion base? That’s interesting! Can do a few stuff with it…haven’t been ordering from GoW for a long time.